I am so glad today is the last day of the Detox phase of the Ultimate Reset. Its been a long time since I’ve felt this tired during the day. Had a hard time staying focused. I even fell asleep for an hour on the couch today. What do you know, fruit for breakfast. Kabocha Squash soup in coconut milk and a Microgreen Salad for lunch. 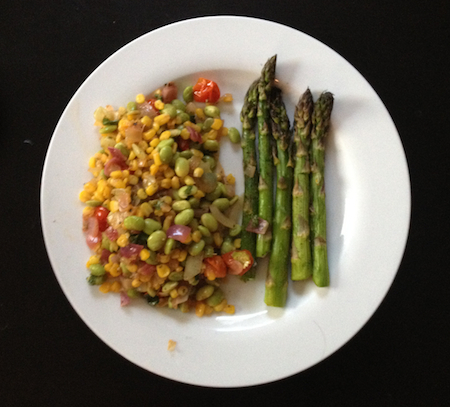 Edamame and vegetables for dinner. This vegan lifestyle is not so bad.